I’ve always asked the big questions, from when I was a little kid. My parents didn’t really go for it, so I resorted to conversations with my invisible friend, Zotsy. That worked, because the dialogue is fundamentally between you and you anyway. It’s no surprise that after a major detour as a commercial banker for an international banking firm, I became a personal life coach. Coaches ask the big questions. 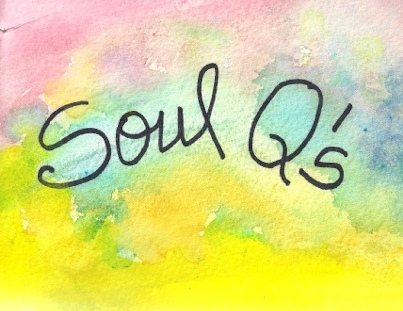 This is useful for me, because, personally, I live my life by the questions that arise from within me. I always have. Also, if nobody is asking the big questions, they tend to get lost in our chaotic, fast-paced world. Was it Socrates who said “an unexamined life is not worth living”? About a year and a half ago, my husband and I both got pneumonia and landed in the hospital. This was shocking to us, because (a) yes, we got the shots (they aren’t 100% effective, who knew? ), and (b) we’re too young to get pneumonia, right? (wrong!). I am here to tell you that once you have an experience that really brings you down, in a heartbeat, (a) you tend to be aware of your vulnerability and mortality, in a whole new way, and (b) you, at least us, start to focus more on the big questions. Who am I, and where am I going? Anyway, I thought that from time to time, I’ll post some big questions on my blog, as I’m living them. If they resonate for you, take them and live into them. This means that you hold the question lightly and curiously, and let the answers bubble up from the depth of your inner being. The answers will come in right timing. I know this from 20+ years of life coaching. Far more effective than having to have an answer, and wrestling the questions to the ground. If a question doesn’t resonate, just release it. Let it go down the river of life like a leaf down a stream. It just means that the question isn’t the right one for you right now. Trust that the ones that are right for you will call you to them. Living the questions makes meaning out of our lives, and gives us focus. Here’s to living the questions. 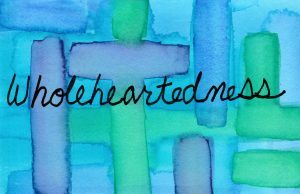 Wholeheartedness was my word (see 12 Words) for December, 2018. I’ve been remiss in writing about my experience with Wholeheartedness. The first thing I learned was that Wholeheartedness is one continuous word; it’s not Whole-Heartedness. But, I digress. This definition feels right to me. It means to me that my heart’s in it; I’m not just putting in my time, until…. We were often putting in our time, until. Until what? Until we made more money, and could do more things in life. Until we finished one project and a new, more interesting one came along. Until we found a better position. It’s not always easy to be “completely and sincerely devoted, determined, or enthusiastic” when your life has taken a few turns off of the way that you were expecting or hoping for things to go. But it’s a hostage situation, where I’m the hostage, if I settle for putting in my time “until” something changes. I was gifted with a mini-version of this situation in December. I had plans, expectations, things I was eagerly anticipating being able to do, and my life didn’t unfold the way I expected it to in December. There were challenges. This was perfect for Wholeheartedness, because I was given an opportunity to practice being “completely and sincerely devoted and enthusiastic”, regardless of the circumstances. I got to learn, once again, deeper in my bones, that I get to chose how I want to be, independent of circumstances. I get to choose my response to situations. I, of course, want to be compassionate with the part of myself that might be frustrated, or disappointed, or mad. But I don’t have to choose that way of being as a lifestyle. I get to choose Wholeheartedness. Wholeheartedness is a state of being; it is being “Yes!” to life, however life looks in the moment. Today is the Winter Solstice in the Northern Hemisphere. Winter is a time of both stillness and power. As we open ourselves to the gifts of Winter, we can replenish our inner wells and recharge our energy. 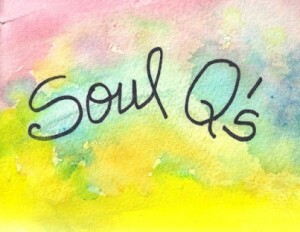 I invite you to give yourself the opportunity to hear the voice of your soul’s longings through reflection. My new Winter Alignment Kit offers you reflections about receiving the gifts of Winter. It’s free, and it’s here. Many blessings of the season to you. I believe in Year End Reviews. They are an opportunity to look back at the year from a strategic view, with a longer time frame, and a bigger picture, than our day to day focus generally allows us. However, over the years, I have struggled with the question of what is the best format. Some people love deep, intensive, and thorough reviews. This year, I received a 60 page year-end review format in my email inbox, from one of the lists that I subscribe to. I’ve sent out a 5 to 10 page Year End, Year Beginning review format to my clients over the years. Most people are really busy this time of year, and the risk of these relatively comprehensive review formats are that we don’t do them at all, because of the time involved. Of course, this will appeal to some people, and not to others. So, here’s my simple Year End Lite, in case you want to do something that is relatively quick. I’m wishing you a very beautiful and fulfilling New Year. 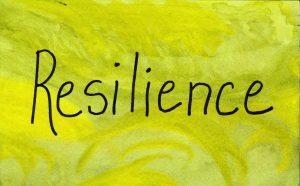 Resilience was my November word (12 Words for 2018). You won’t find it on the original list. It snuck in there last month. I just got a strong intuition that Resilience had something to say to me and ask of me, so I bumped Whole-Heartedness, November’s original word, into December. Here is what Merriam-Webster has to say about “Resilience: An ability to recover from or adjust easily to misfortune or change.” Sign me up! I would propose that all of us need Resilience, because our lives are in constant flux and change. And that is what I most learned from a month of focus on Resilience: it isn’t just the big stuff where we need Resilience. We need Resilience in the constant stream of little challenges and changes in our lives. Perhaps we need Resilience even more for the little stuff than the big stuff in our lives. I think we all tend to discount the cost of little stresses and challenges and changes in our lives, because we have developed an inner toughness and resourcefulness that has us “toughing it out” and “pushing through it”. This approach can be useful, of course, but it can also take a toll and wear us down if we are constantly facing little challenges and changes in our lives, and we don’t have a toolkit of strategies with which to nourish and replenish ourselves, physically, emotionally, intellectually, and spiritually. It doesn’t work if our sole strategy is girding our loins and pushing forward, through it all. We all experience times in our lives where what is coming our way isn’t expected, or feels disappointing or frustrating. I had a series of health challenges that showed up, one after another, that kept me on the bench for a few weeks, and this was compounded by some medical re-schedules and new-schedules. A blizzard dumped over a foot of snow, nixing my husband’s birthday celebration. I needed to postpone a few small work projects that looked, finally, like they could get going in November. I had no energy for my usual art projects, much less the new ones. I had to continually let go of starting those too. None of these things, especially by themselves, are very challenging. But they happened to come in a continuous flow, and it started to feel a bit relentless. Also, as a result, I felt like I was keeping up with the absolutely essential work commitments, but nothing much else. At the beginning of the month, it had looked like there was a wide expanse of time and space available to begin a few new creative endeavors. This was the perfect set-up for Resilience. Yes, we definitely need Resilience for the big challenges and changes in our lives. But, the little stuff can really wear us down if we are not paying attention. It is erosion, and it can challenge our good spirits and our energy levels. For me, Resilience is the feeling that my inner well is replenished and full, so that I can handle what comes my way. None of this is rocket science, and I do all of it most of the time. But I made the connection that all of it is crucial to my Resilience, and I began to make it my top priority, and to give myself as much of it as I needed, no matter what. I stopped second guessing myself about whether I was being indulgent. I realized that all of it was essential, not optional. I realized something else about Resilience, too. If we don’t tend to our Resilience on the small stuff, we certainly won’t have it for the big stuff. Your favorite Resilience strategies will be different. But, it might be handy to be very conscious of what they are, so that you can pull them out whenever you need them. A sort of Resilience Toolkit, customized specifically to meet your needs. 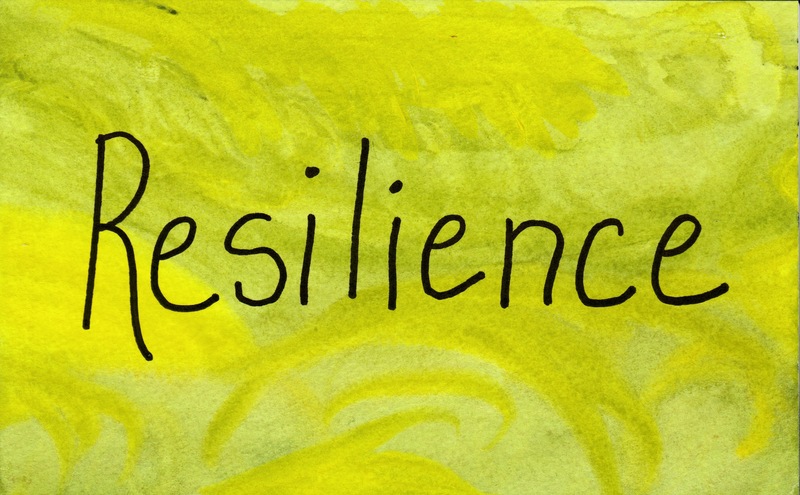 What is Resilience for you? And what are your top Resilience strategies? I’m squeaking in just under the wire, posting about Renewal on the 31st of this month. Renewal has been my Word for October. It has taken me all around the bend this month. 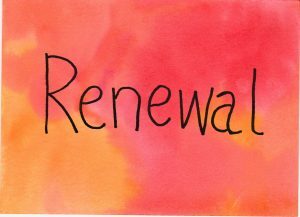 At first, I thought that Renewal was a call to greater Self Care. I upped my Self Care game, and that was good. Then, on further reflection, it seemed like Renewal was an invitation to retreat and reset, a call to regroup. Before I could schedule a retreat, Renewal morphed into a process, not a point-in-time event. 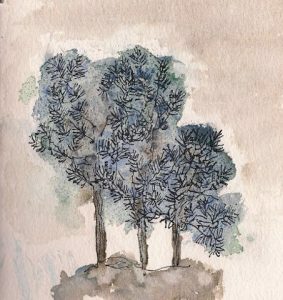 I was exploring: What is the practice of Renewal? I was getting warmer (remember that game as a kid? “Warmer” “Cooler”). Then, the words came: Renewal as a Lifestyle. Well, what did that mean? This morning, a clarification came: Renewal as a lifestyle means emptying. I knew this must be right for me, because it came out of left field, and it felt right. I have been filling lately. Buying lots of books and learning lots of stuff. Doing more and more art, and squeezing in even more kinds of art. My brain feels like it has been over-stuffed at an all-you-can-eat buffet. My Emptying/Filling balance has definitely been off. I want to make emptying a lifestyle. The filling will occur naturally and organically. Nature abhors a vacuum. It still remains to be seen how this plays out from a practical standpoint in my life. Right now, it is a sincere intention, and I am confident that I will be shown the way as I go along. 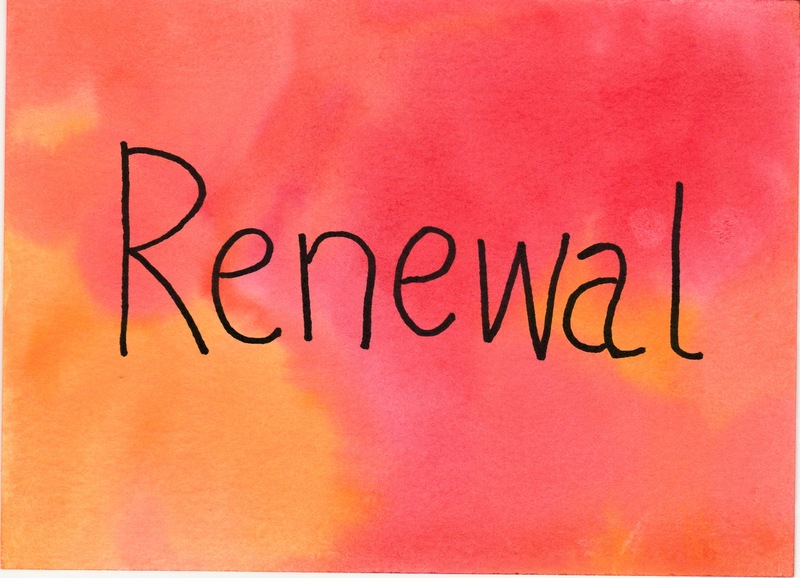 What is Renewal for you? P.S. 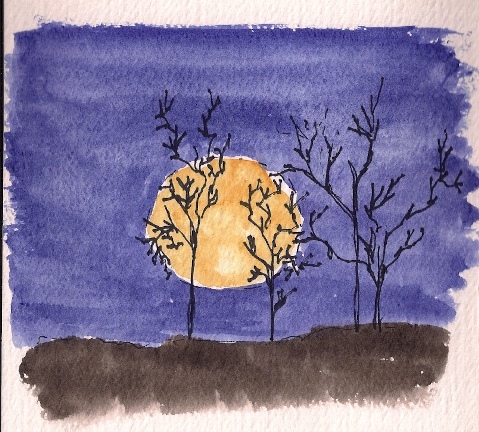 A new word has butted its way into my 12 Words, for November: Resilience. This wasn’t in the original list. That will bump Whole-Heartedness, originally set for November, into December. And perhaps Love (the original December word) will become my word for 2019. 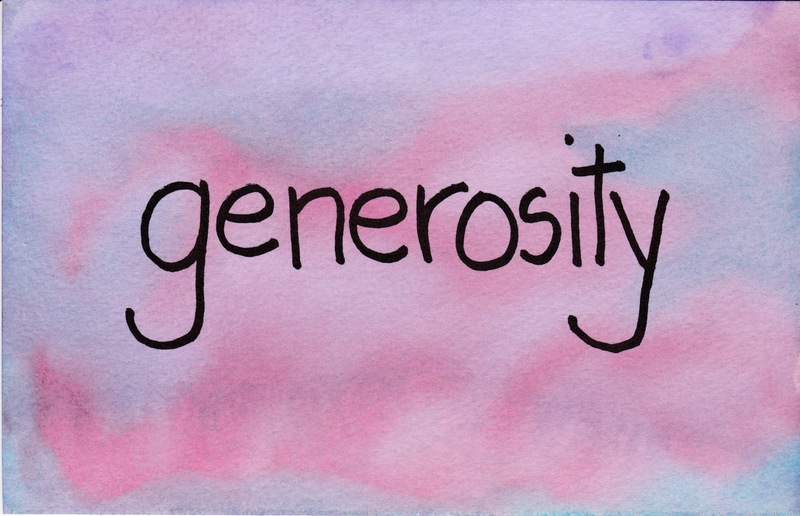 I’ve loved exploring Generosity for the month of September (My 12 Words for the Year). An early discovery and distinction arose in my practice of Generosity this month, and that is the difference between Giving and Generosity. Like many of us, I was brought up with strong insistence of the virtues of Giving, and that approach gradually morphed into over-giving, and then danced on the border of resentment. As I meditated on Generosity, it was clear to me that it had something to do with a Generosity of Spirit. I feel like that is definitely different than Giving. Giving feels like a doing thing, and Generosity feels like a being thing. And, from being Generous of Spirit, the right doing naturally arises from within. So, it clearly isn’t giving up on Giving. The Giving is just coming from a different place. Living with a Generosity of Spirit feels wonderful: it feels spacious, and loving, and kind, and devoted to seeing the humanity in myself and in others. It is living with heart. What does that mean every day? It means when I feel any hesitancy to say Yes, or any feeling of constriction, to go inside and explore what feels right in the moment. It means when a request comes from a dear one, I stop what I’m doing (and the Doing Track that I am on), and ask myself: What would the choice be for Generosity of Spirit? What is Generosity of Spirit in this moment? It means sensing what Being Generous in Spirit means in my decisions and choices. Intention has really helped me with Generosity. When I intend to live Generously in Spirit, and I keep that intention alive and in my focus, I am inspired to action that is right for me and everybody. I discover in each moment what it is like to live with a Generosity of Spirit. No rules. What is Generosity for you? Why? Because it is a promise to myself, and it is all about how I choose to show up, to anything in my life. But I can always choose how to be, and to me, that is everything. Intention is the difference between frustration and meaning. Intention is my August word (see 12 Words for 2018). I’m glad it is, because, as much as I love Intention, I don’t give enough attention to it, so I need to be reminded to be conscious of the Intention I am choosing. 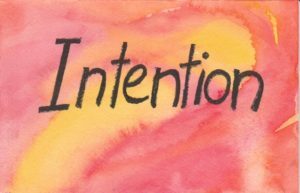 I work with my clients on Intention, and I work with my own coach on my Intentions. And I still forget. When I set an intention, especially before my day begins, I show up to my life consciously and fully engaged, rather than just going through the motions. I show up with a different quality of energy. You might call this a form of mindfulness, but I think it’s more than that. There is a spirit to Intention, a spirit of Yes! I’m in! I want to be open to hearing all points of view. I want to come to my friend’s struggles with love. I want to be extra-focused in my work today. I want to shed all of my expectations about my art and be willing to play. 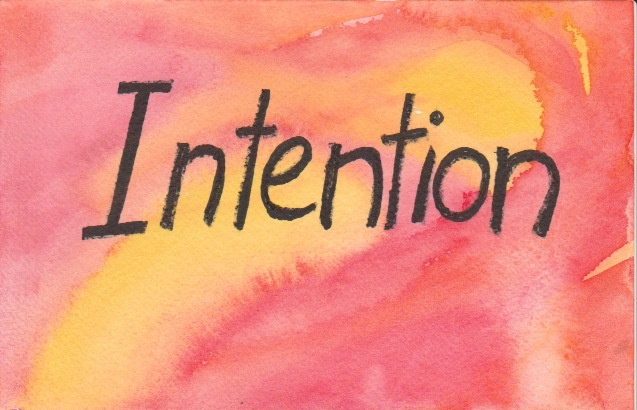 Intention is a pledge to be. It’s a commitment to me. I love Intention. So, if you’re game, let’s do more of it. 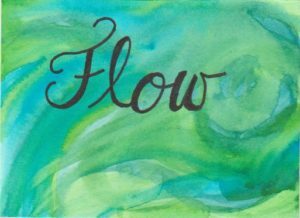 Flow has been a good word for July (My 12 Words for 2018), because July has been a clunky month with lots of unanticipated interruptions and distractions. What better environment is there for exploring and practicing Flow, right? What is Flow, in all the chunks and clunks? I have always loved the word Flow. To me, it is very appealing. It feels purposeful and full of momentum. I’m strongly kinesthetic, and Flow is a sensing, feeling, touching kind of a word. I like to move. I have a standing desk so I can move. I’m challenged most when I’m physically impaired in some way and my movement is limited. But what is Flow, and how do we “be” Flow, or in Flow? Mid-month, I knew that I needed to quit trying to define it and begin to experience it (duh!). I quickly realized that I may not be able to define Flow, but I knew when I was “in Flow” and when I wasn’t in Flow. I’m in Flow when I’m “firing on all cylinders,” mind, body, and spirit. When I’m not in Flow, one or more of those three things is not in sync; mind, body and spirit are not in tune or in synergy. Flow is that simple. Flow happens when I am in tune with mind, body, and spirit, and each of them is supporting the other. So, how to sustain Flow? I’ve been paying attention to Self Care, and to balancing the well-being of my mind, body and spirit. I’ve been making good Self Care essential, not optional. If you want to check in on your own Self Care, here’s a checklist to give you some ideas. Sustaining Flow, for me, is a matter of keeping mind, body and spirit fine-tuned and in sync with each other. That is easy to say, but actually living it, practicing it, dare I say “rigorously,” is the next frontier. I guess that Flow isn’t going to be neatly wrapped up in July. Flow is going to spill into the next month, and probably the next, and maybe the one after that, co-existing with the words for those months. I certainly don’t want Flow to fall off the radar, because there is one thing that I do know about Flow: Living in Flow is essential to my highest well-being. 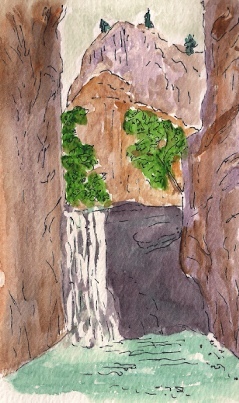 Flow is my July word (see the original 12 Words blog post, if you are just tuning in). We hear “Go with the Flow,” or “Tune into the Flow,” or “Align with the Flow.” But what is Flow? When I look back at my whole life (what I can remember, anyway! ), there is a discernible order in what, at the time, felt like chaos and uncertainty. There seems to be an organic unfolding. Sometimes I went with it easily, sometimes more reluctantly, and sometimes kicking and screaming. I guess I have lived enough life at this point to believe that there is a creative flow or force operating in my life, one that underlies all the individual circumstances and situations. All the things that I thought at the time were bumps, roadblocks, stumbles, and wanderings, now make sense in the larger picture of my life. But in the daily moments, my life still often feels anything but Flow-y. It feels twisty and turn-y and at times inscrutable. Maybe Flow just isn’t always to be known in the moment. Yet, I still trust that there is an order, and a creative flow, and maybe that is what is important. Maybe Flow is right here, and I am just not feeling it all the time. You can see that I still have several crossed wires about Flow. However, I trust that even as I write this, my understanding of Flow is sorting itself out, and all will be revealed in good time, and in right order. In the meantime, What is Flow?